Join us for the biggest cloud security event of the year! Hosted by Salim Ismail, best-selling author, futurist and technology entrepreneur, THE EPIC CLOUD SECURITY EVENT will feature A-list cloud experts and our own chief product officer, Lee Klarich. We’ll be rebooting the future of cloud security, and we want you and your cloud team to experience this historic event. 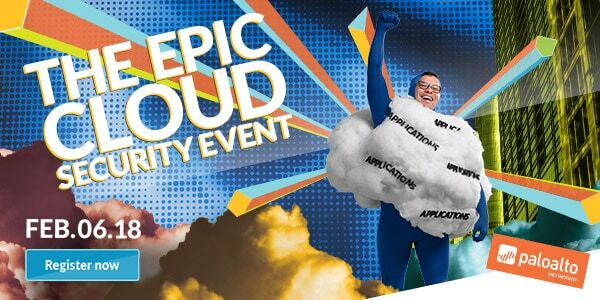 Register now for The Epic Cloud Security Event. Unit 42 examined the Microsoft Office Equation Editor Zero-Day Vulnerability (CVE-2017-11882) and how Traps advanced endpoint protection prevents this threat. Palo Alto Networks 2018 cybersecurity predictions and recommendations: hiring great cloud talent can improve cybersecurity. Palo Alto Networks continued its efforts to make cybersecurity education and training more accessible by opening our first cyber range center. 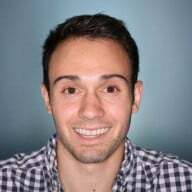 The second of five posts on mistakes to avoid when selecting your next NGFW explores the perils of choosing a firewall in silo. New European cybersecurity legislation will prompt many organizations to make following the NIS Directive one of their top priorities. New technical documentation and resources available for AutoFocus 2.0.3. Secure your spot at the cybersecurity conference of the year. Register now for Ignite ’18. Want to share your cybersecurity knowledge with like-minded professionals at Ignite ’18? The call for papers is open and accepting submissions. Get yours in before the February 12 deadline. Take a look at upcoming events around the world that you should know about. Don’t forget to register for our events calendar. Looking to meet up with other Palo Alto Networks users? Check out Fuel, the Palo Alto Networks User Group, for opportunities to attend hands-on workshops, events and more!